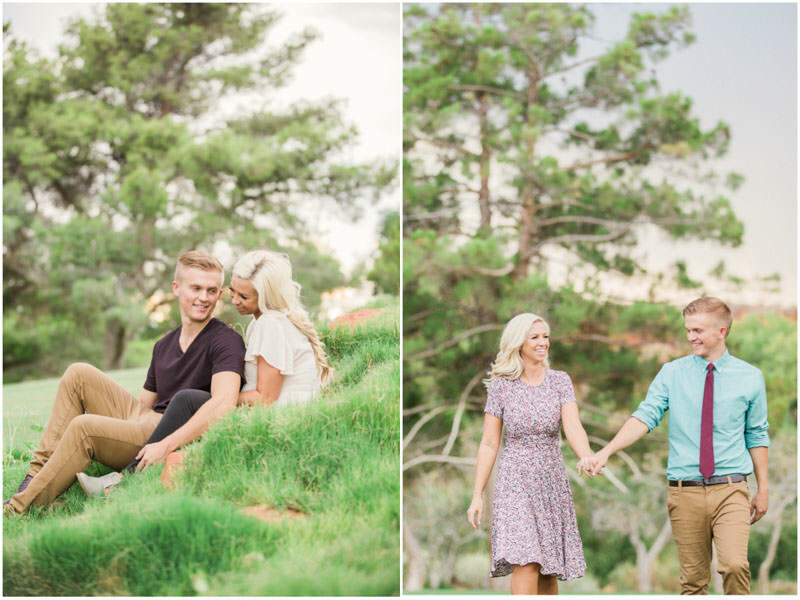 I always love photographing couples in St George. It is such a beautiful area. 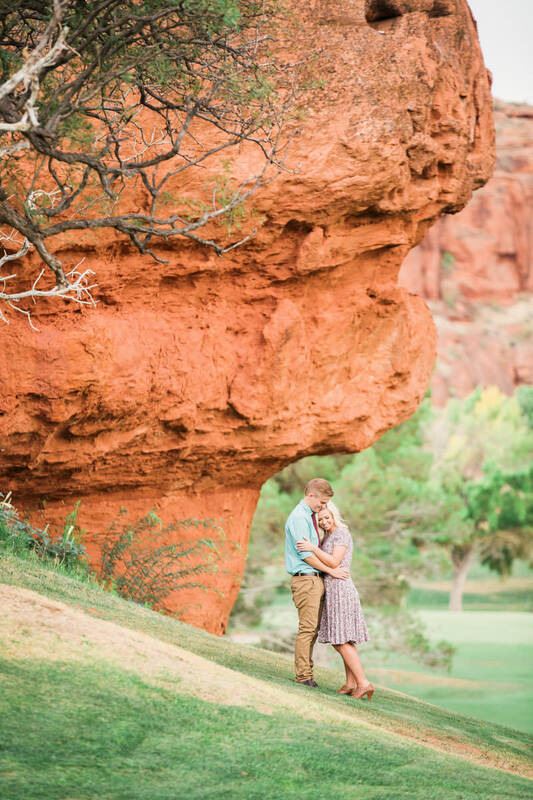 Its full of the obvious red rock and sandstone cliffs, but also has hidden gems like the amazing trees and backdrops of this fun engagement session. 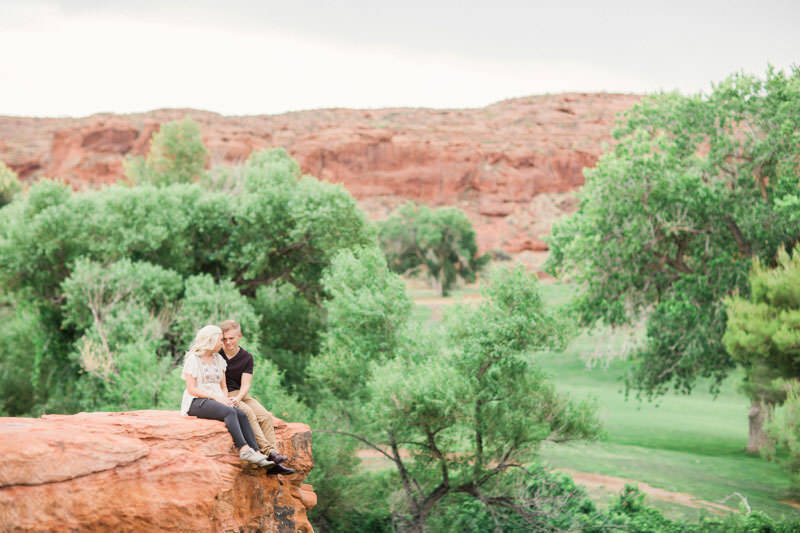 A golf course engagement photos session in Southern Utah is always a good idea. 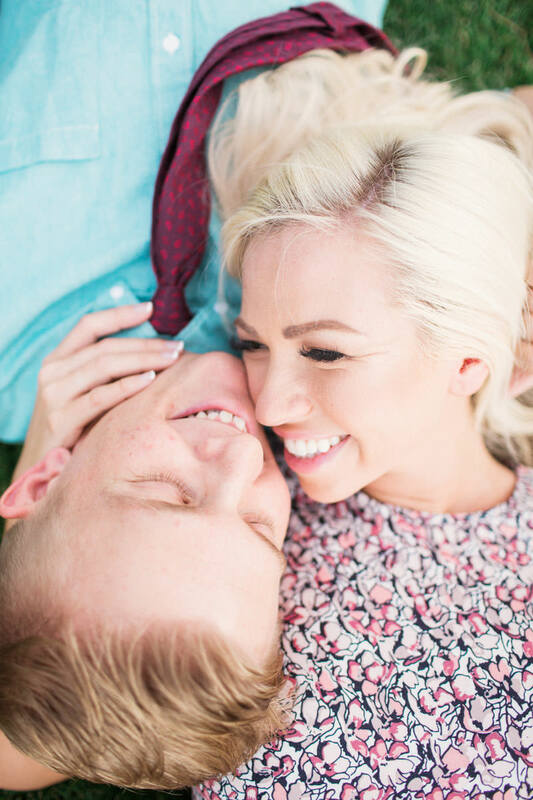 Ellen and Erik hired me to photograph their engagement session, and Im so glad they did. 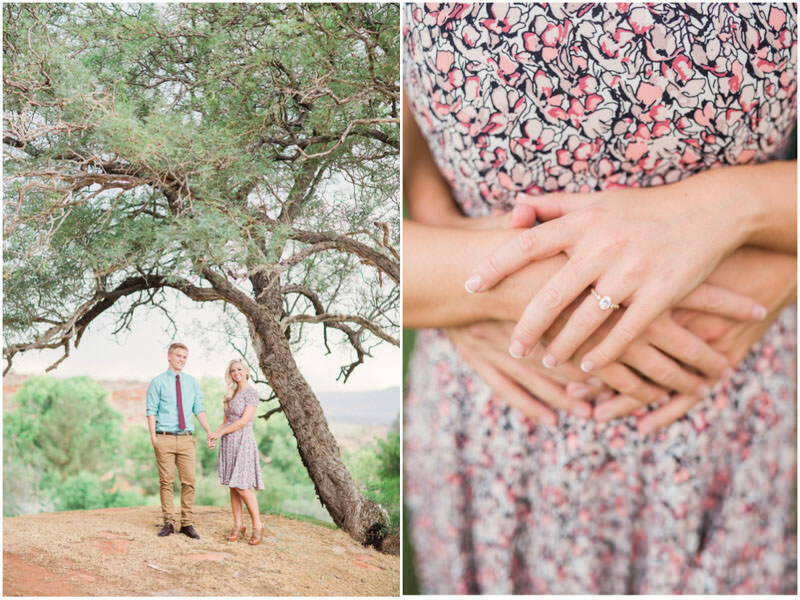 Southern Utah is beyond beautiful, and so is this couple! We had such a fantastic time and ended up with some really beautiful light. 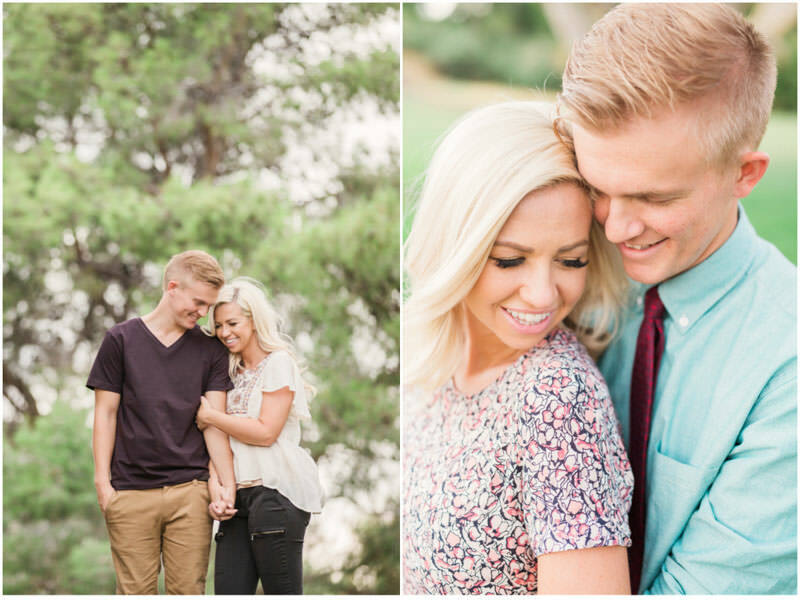 Engagement photos are such an awesome time for couples to be themselves. I love how causal and fun they are. 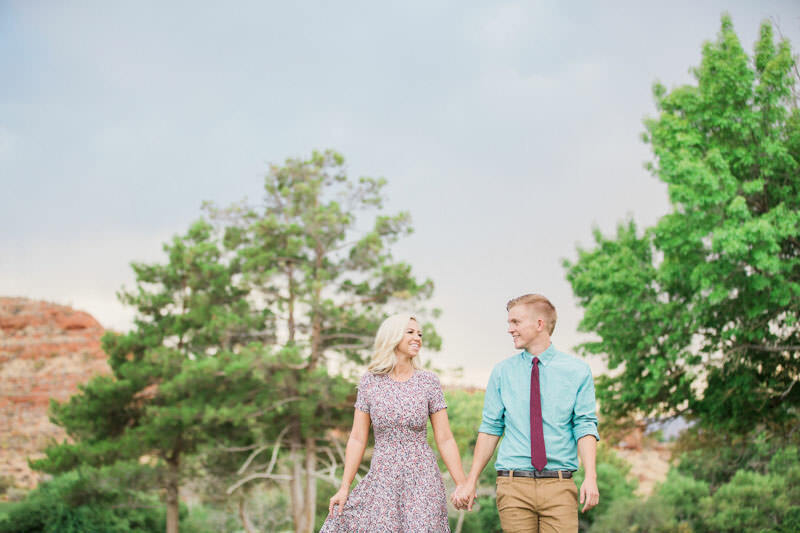 Im always glad when I get to do engagement photos in St George! There are many beautiful golf courses around Southern Utah. The green grass and trees are appealing to anyone wanting that beautiful spring feel. Dixie Red Hills is one of my favorite golf courses. 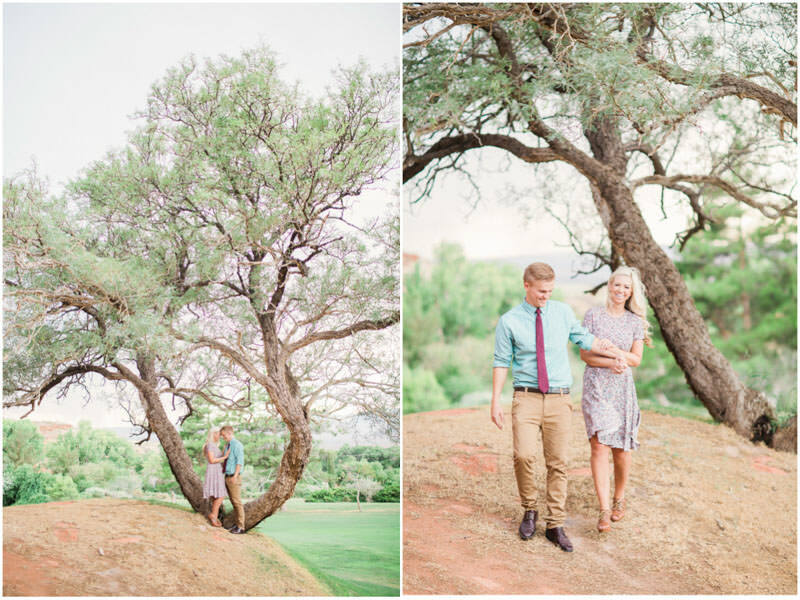 It has mature trees and grass, and no shortage of the iconic red rock of Southern Utah. That being said, it is important to remember that it can be busy. 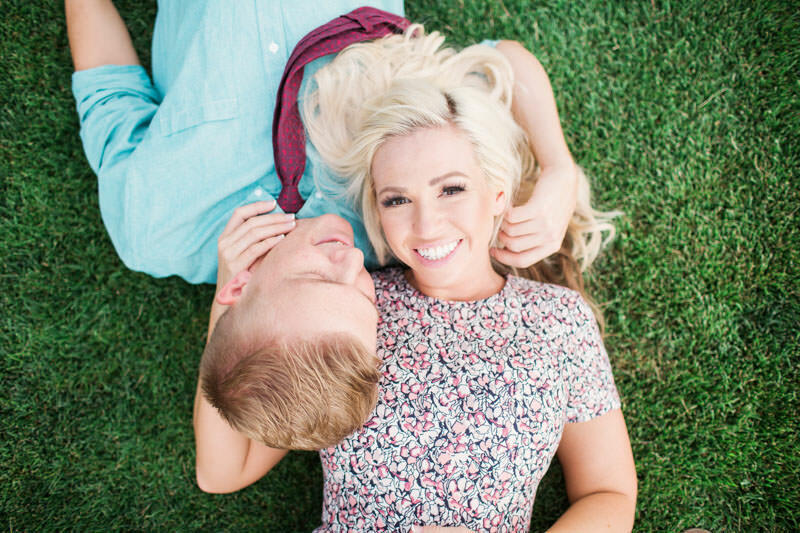 I always try to do engagement photos at the end of the day when golfers have played through. It is important to respect the golf course rules. 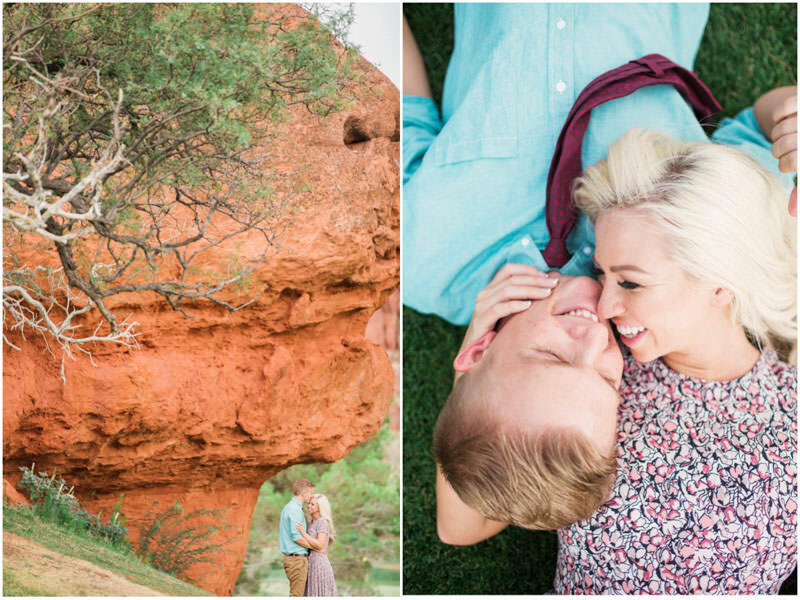 Im really glad it worked out to photograph this engagement session at Dixie Red Hills!